While hardwoods certainly have their place, don’t neglect to use softwoods for appropriate projects! 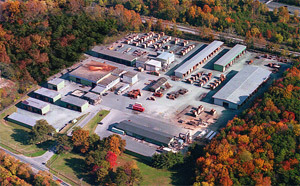 After supplying only hardwoods for centuries, J. Gibson McIlvain Lumber began sourcing quality softwoods just over a decade ago. While the process did require a bit of a learning curve, we now have a dedicated section of our distribution yard strictly for softwoods where we can respond to the unique needs that softwoods present. Among the other softwoods species we have the ability to source, one that we keep in our inventory is Alaskan Yellow Cedar. Growing along the Pacific Northwest coast of the U.S., up into Canada and — as its name implies — Alaska, Alaskan Yellow Cedar trees grow best in colder areas and high amounts of rainfall. As a result of the climate, Yellow Cedar trees grow slowly, contributing to closely packed growth rings which, in turn, cause them to produce extremely stable, dense lumber with consistent coloring. 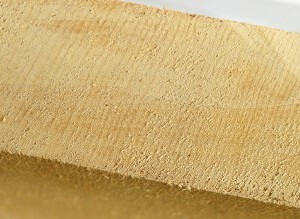 Yellow Cedar also boasts extreme hardness, for a softwood, and a high degree of rot and insect resistance. The consistency of the grain structure makes this species easy to work, either by hand or by machine. Actually a member of the Cypress family, Alaskan Yellow Cedar is comparable to another popular softwood species, Western Red Cedar, in many ways — including its association with true Cedars. Aromatic and similar in texture to a Cedar, this Cyprus grows in similar areas as Western Red Cedar, except that Red Cedar also grows in inland areas. Yellow Cedar is actually a superior species to Red Cedar in several areas: strength, stability, and weather resistance, to name a few. Because of its stability and strength, uses for Yellow Cedar include interior applications such as ceilings, trim work, and flooring. Due to its weather and rot resistance, it’s also great for exterior applications such as siding. 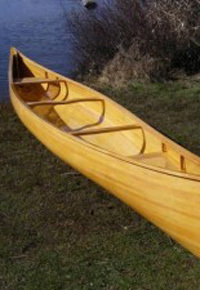 Because of its lightweight nature, it is also used commonly in boat building and aircraft construction. Additional applications include Japanese architecture and garden structures, saunas and pool houses, and large timbers. We maintain an inventory in common sizes such as 4/4 and 5/4 but can also special order extreme thicknesses or large timbers. We often mill Yellow Cedar into flooring, paneling, or siding, and our in-house millworks operation allows us to create a custom knife to match almost any profile. 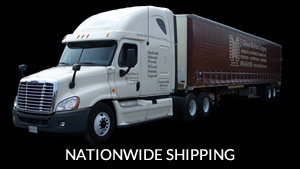 Of course, we also provide nationwide shipping and can combine shipping to deliver all your hardwoods, softwoods, millwork, tropical decking, and plywood to your job site. Not only can J. Gibson McIlvain provide you with the highest quality lumber and service around, but we can also save you money and extra time and effort by combining your various wood products into a single shipment.